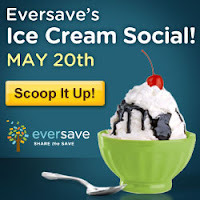 Eversave's Ice Cream Social Plus Giveaway! 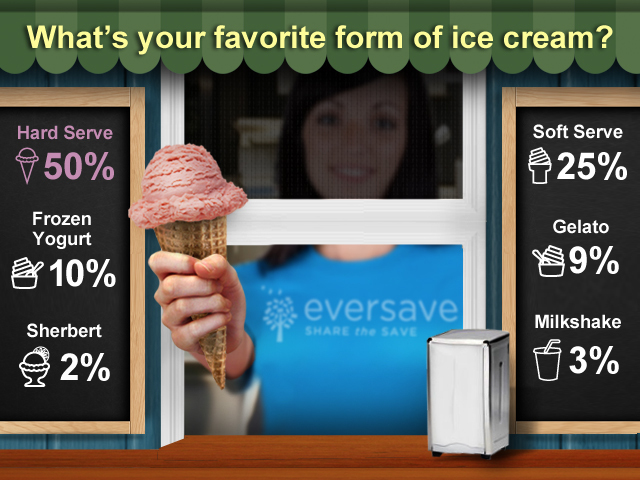 One of my favorite daily deal sites, www.eversave.com is throwing an Ice Cream Social just in time for summer! Today, Eversave is featuring a daily deal with a fantastic local ice cream shoppe here in Atlanta: Cinda’s Ice Cream Social (www.ice-cream-social.com). This deal will run for four days. 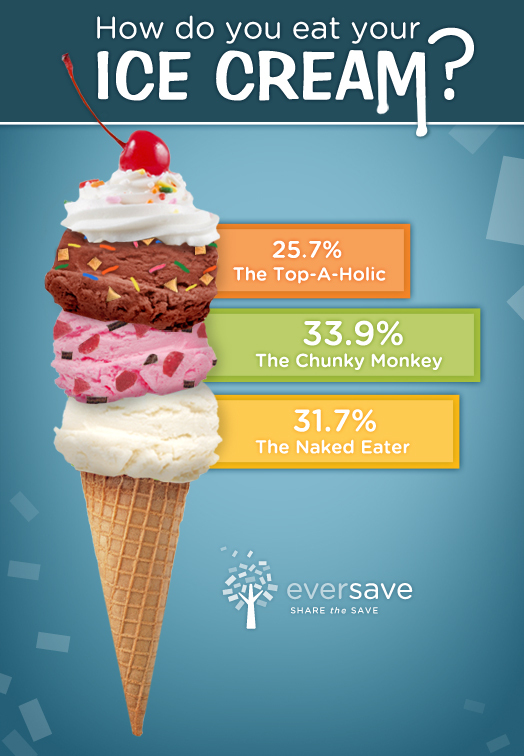 In celebration of the Ice Cream Social, the team at Eversave surveyed more than 900 people to find out their “ice cream personalities.” 34% consider themselves ‘chunky monkeys’ and prefer ice cream mixed with treats like chocolate chips, cookie dough, and fruit. 26% are ‘top-a-holics’ wanting all the syrup, sprinkles and whipped cream they can get. On the other hand, 32% said they were ‘naked eaters’ –eating their ice cream without any toppings. Join in the fun of Eversave’s Ice Cream Social by entering my giveaway! One lucky winner will win a Save at Cinda’s Ice Cream Social plus $5 in Save Rewards to use on an Eversave daily deal of their choice! Add a comment below and let me know what you love most about ice cream! The winner will be announced Sunday, May 22nd. Eversave will be running fun contests on Facebook today so check in often for more scooper-duper fun! Disclosure: The sponsor is providing me Save Rewards for for participating in this event.